Sometimes I have very good luck, such as I did this weekend when I scored two, last-minute, free tickets to see ‘La Traviata’ at the National Centre for the Performing Arts (NCPA). The event was part of the whole ‘Festa Italiana,’ a two-week event featuring Italian art, culture, and business. 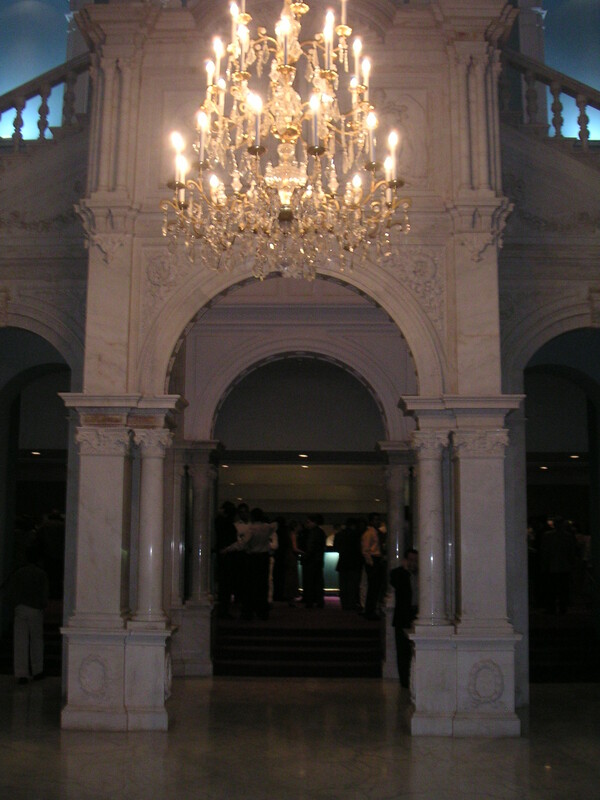 The NCPA, located at the southernmost end of Marine Drive called Nariman Point, has four different venues, including a real first-class auditorium. I was also happy to find that at intermission the snack bar sold some of the best chilled coffee I’ve ever tasted. Aesthetics and tastebuds aside, the opera itself was quite good, and, as it was in town for only two nights, it was also well-attended. The mostly Italian cast did quite an incredible job, though consensus was that the singer who played Alfredo was having an off-night. Another nice touch to the opera came during the second act dance sequence, when a local dance troupe added a bit of Indian flavor to the matador/salon sequence. I dare say it was Bollywoodesque – see, I do like Bollywood! The womens’ colorful Cannes-Cannes-meets-desi-design costumes were exquisite, though I was a bit put off by the shirtless male dancers. I couldn’t quite figure out where they fit in, other than to lift and fling the ladies. At any rate, it perked up a second act that had, up to that point, left a lot of people scratching their heads (or answering their cell phones, as it were). Actually, I was quite impressed that only about five cells went off during the whole production, though I could hear vibrations coming out of peoples’ pockets al around me. Man, it doesn’t matter where you are in the world – there are always going to be people that have no manners when it comes to cell phones. It may seem kind of strange to be going to see opera in Bombay. But, in fact, there once was a Royal Opera House in the city that has long since fallen into disrepair. I’d love to find out more about it, but a quick search on the net yielded just a few mentions on an students’ architecture chat room. Guess I’ll have to ask around.